This easy to follow how-to guide will show you the ways to disable access to Start Menu/Screen in Windows 10. Methods discussed here are reversible. If you’re a developer or IT administrator, sometime you may have special requirement to disable access to Start Menu/Start Screen by users in your workplace. This post will show you how to achieve this aim using a reversible method and without deploying any complex procedure. By default, if you hit Start Button, you see Start Menu. Using steps mentioned here, you can change this functionality to Start Screen. See, Start Menu/Screen is integrated with Windows Shell Experience Host and as soon as you login to your Windows 10, this host initiates its process to load Start Menu/Screen. You can disable these entities either for a single user or a group of users loaded on your machine, using methods mentioned below. We recommend you to create a System Restore point before trying either of the ways. 3. In the right pane of Advanced folder, right click and select New > DWORD Value. Name the newly created registry DWORD (REG_DWORD) as EnableXAMLStartMenu. Double click on it to modify its Data. 4. Finally, set the Value data to 1 and click OK. Close Registry Editor and restart your machine to block Start Menu/Screen. 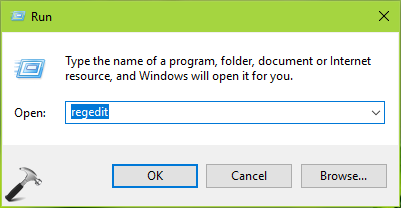 To re-enable Start Menu/Screen later, simply delete EnableXAMLStartMenu DWORD. 1. Press Ctrl+Shift+Esc keys to open Task Manager. 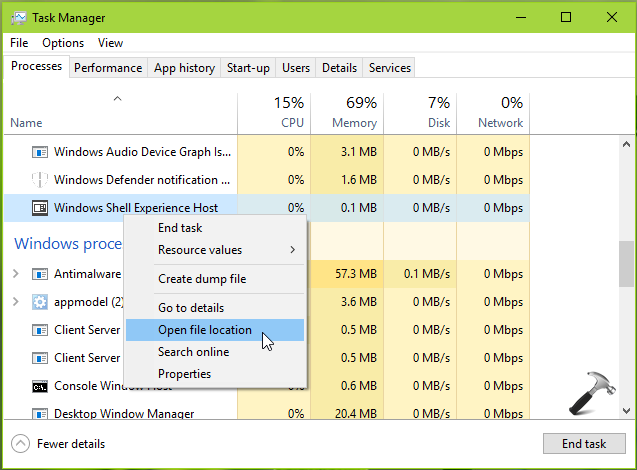 In Task Manager window, on Process tab, locate Windows Shell Experience Host process and right click on it, select Open file location. 2. In the folder so opened (SystemApps), right click on already highlighted folder i.e. ShellExperienceHost_cw5n1h2txyewy and select Properties. 3. On the property sheet window, switch to Security tab. Now click on Advanced button. 4. Then you’ll realize that the owner for folder is TrustedInstaller. So you need to take ownership of the folder using steps mentioned here. 5. Once you taken the ownership, click Edit button on below shown window. 6. Now in Permissions sheet, select the user or group who you want to prevent access to Start Menu/Screen. Then check mark Deny against Full control. Click Apply followed by OK. Exit the File Explorer in this way and reboot your device. After restart, you’ll find that your desired selected users can no longer access Start Menu/Screen now. 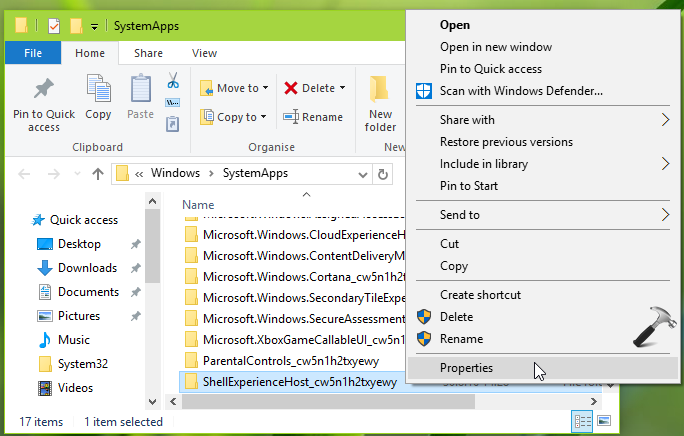 To re-enable Start Menu/Screen, simply restore the tick marks for Allow on the Permissions sheet. This is an excellent tutorial! Thanks so much for sharing! I love that you included many detailed screenshots. I have been trying to figure out how to disable the start menu for a while. This was a great help! I think this will really help to improve productivity when I’m working on the computer. * procedure of registry doesn’t work, start menu remains same. ^^ Have you tried WAY 2, via permissions?